Modi-Xi Summit : will it be a breakthrough for winning the mutual trust ? 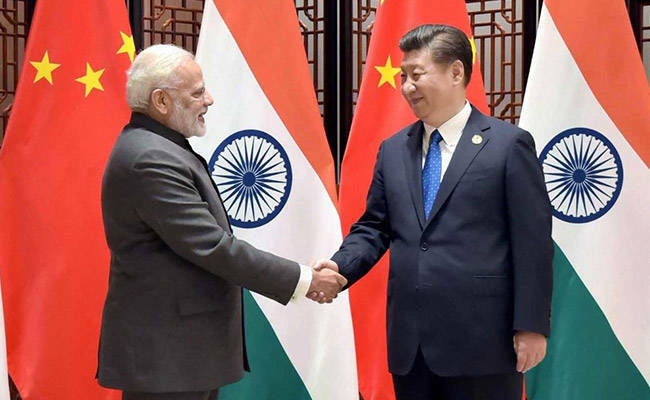 KATHMANDU (26 April 2018) – Indian Prime Minister Narendra Modi and Chinese President Xi Jinping are all set to hold an ‘informal summit’ in the city of Wuhan on the banks of the Yangtze on Friday and Saturday. The informal summit, though not ‘surprising’ but a ‘sudden announcement’ after the meeting of two foreign Ministers week before, seems strategic at least not for widening misunderstanding since the Doklam standoff. Looking back the history of meeting Indian Prime Ministers meeting with Chinese Presidents, the bilateral relations have improved significantly, be it the meeting of Rajiv Gandhi and Chinese leader Deng Xiaoping on December 21, 1988 or the latest being Modi and Xi Jinping. Therefore, the informal meeting between Modi and Xi will surely bring some changes in bilateral relationship if not breakthrough for resolving the pending controversial issues including border imbroglio. The meeting has another dimension too. The meeting of two head of governments of two rising but conflicting Asian economies has been pervasively seen as move for regional peace and security together with the common development. As a sand witched between two powers of Asian century, Nepal has high hope for Delhi-Beijing two days summit not that the meeting will announce development package for Nepal but their common perspective for neighboring countries will lay the ground for common regional development. Nepal’s concern to the much anticipated meeting doesn’t limit on its wish for regional peace and development. Nepal has its own outlook for the meeting at time when Kathmandu is fully focused pragmatically to achieve the development and prosperity after the completion of movements to set up political goals. What has made Nepal the Delhi-Beijing summit more important? It is because Chinese Foreign Minister Wang Yi has said that China was ready for China-Nepal and India economic corridor during his meeting with visiting Nepali counterpart Pradip Gyawali on 18 April 2018. This is what Nepal has very much genuine cause to look upon the summit whether the two executive head will have time to think of trilateral corridor or whether the agenda will be touched upon or not? Nepal’s Minister for External Affairs Gyawali, while speaking with Xinhua, Chinese government News Agency, has said Nepal will welcome the high level engagement of India and China. In fact Nepal has long been looking the cordial and friendly relationship between India and China so that they could share their benefit to Nepal since the international relations has survived in mutual partnership, not in isolation. Nepal not only fully welcomes the trilateral corridor\partnership, but also would like to request both the neighbors to forge such partnership for the common and dignified development of Nepal, China and India. Nepal hopes the Modi-Xi informal summit would be a benchmark for the regional harmony and prosperity. We wish all the success of the Summit.